Plastic film capacitors use organic films for their dielectrics,thus the capacitors may fume of flame,depending on the circuit conditions they are in,when they are damaged by applying over-voltage or over-current. ①　Please use capacitors within the range of their characteristic ratings,only after confirming their operating and mounting environments. ②　In case of selecting a capacitor,please select the most suitable one which fits to your operating conditions. 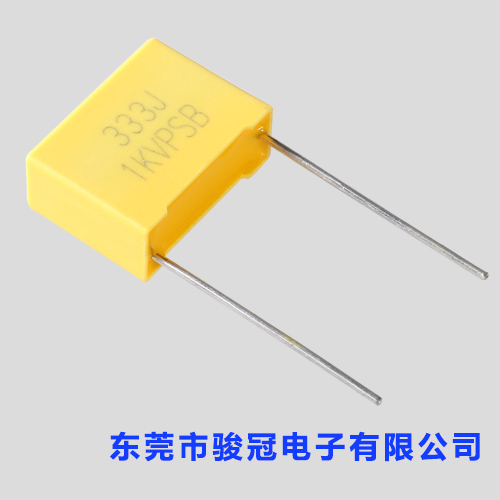 ③　Capacitors used for Across-The-Line,Line-By-Pass and Antenna-Coupling to suppress noises in an equipment,the capacitors need to be approved by overseas Safety Standards or ‘Electric Appliance and Material Control ‘by Ministry of international Trade and Industry. ④　An applying voltage to a capacitor,including the peak of surge and ripple voltage (D.C voltage＋A.C.Peak),cannot be exceeded the rating voltage. 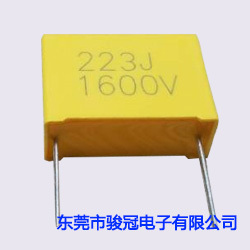 ⑤　Do not apply a current over its permissible level .Also,make sure check the surrounding temperature and inherent temperature rise of a capacitor since a permissible current can be restricted by those factors. 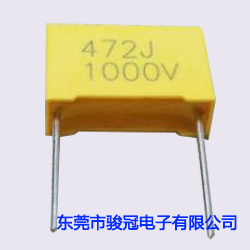 ⑥　Please contact with us for further details,if mechanical resonance (hum) occurs to a capacitor. ⑦　Do not conduct a rapid charge and discharge to a capacitor which may lead to characteristics degradations or break down of the capacitor. ①　Do not apply any exceeding tension or torsion to lead wires of a capacitor,during the mounting process. ②　Please mount a capacitor where it does not contact any other heating parts,high voltage parts and other parts. ③　Please conduct soldering process by strictly following the specified conditions. ①　If a fuming,a fuming or an usual smell occurs from an equipment during its usage,please cut off the power supply by switching it off,pulling the plug out or other methods. ①　A storage needs to be kept indoors at -5℃~＋30℃ and relative humidity of under 75% without any sudden temperature changes,direct sunlight and corrosive gas around. ②　Do not apply and exceeding vibration,shock (dropping) and pressure. In case of rejecting capacitors,please seek for professionals who deal with the industrial wastes treatments.